Halloween is this weekend! In the spirit of the haunted holiday, here are some fun last minute Halloween crafts to “spookify” your house this year! This is the easiest and neatest craft for Halloween. 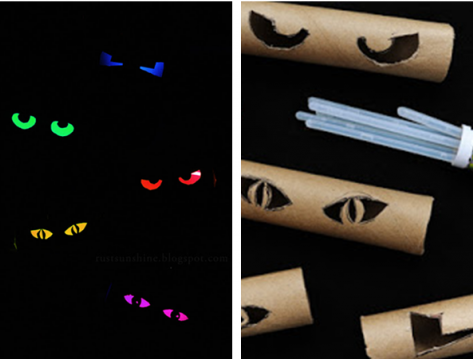 All you do is cut some cool and creepy eye holes out of the paper towel roll, place a lit glow stick inside, and place them around your yard and in your bushes. Viola – you have glowing peepers creeping out at you in the dark! **TIP: use tiny scissors to cut out the eye holes for more precision. This is also super creepy and super easy to create. Cut nylons into two separate legs. 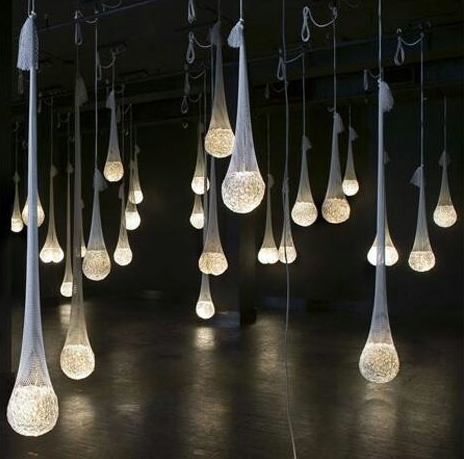 Fill a balloon with water, and place a glow stick inside the balloon. Tie the balloon shut, and then place the balloon inside one leg of the nylon. Then hang from your ceiling, or even better – from the branches of your best Halloween tree outside! This is another great craft, as most of us have garbage bags lying around. 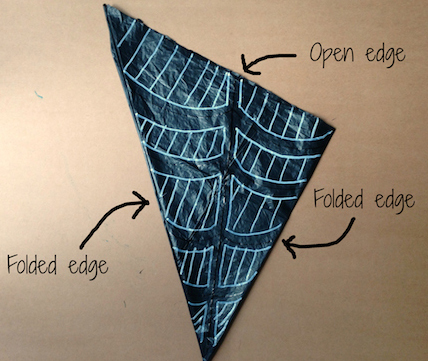 Fold the square on the diagonal, then fold it on the diagonal again. And one more time - fold it on the diagonal again. Now mark it up like this: Then cut the shaded parts only. You will unfold it and see a cool black spider web! 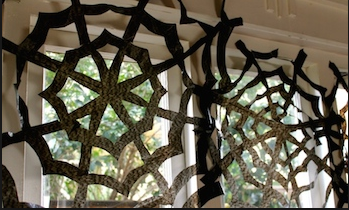 Hang it on your window and adorn it with some fake rubber spiders!